In 10-inch nonstick skillet, cook beef and chiles over medium-high heat 5 to 7 minutes, stirring occasionally, until no longer pink; drain. Stir in half of the enchilada sauce; cook 5 minutes or until thoroughly heated. Remove from heat; let stand 5 minutes to cool slightly. Separate dough into 8 triangles. Place 2 tablespoons beef mixture on wide end of 1 triangle. Roll up, starting at shortest side of triangle, rolling to opposite point. 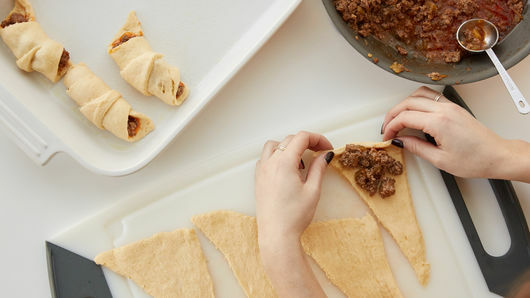 Place each filled crescent into baking dish. Repeat with remaining triangles and beef mixture. Pour remaining half of enchilada sauce over filled crescents. Top each with 1/4 cup cheese. Bake 25 minutes or until golden brown. Cool 5 minutes. 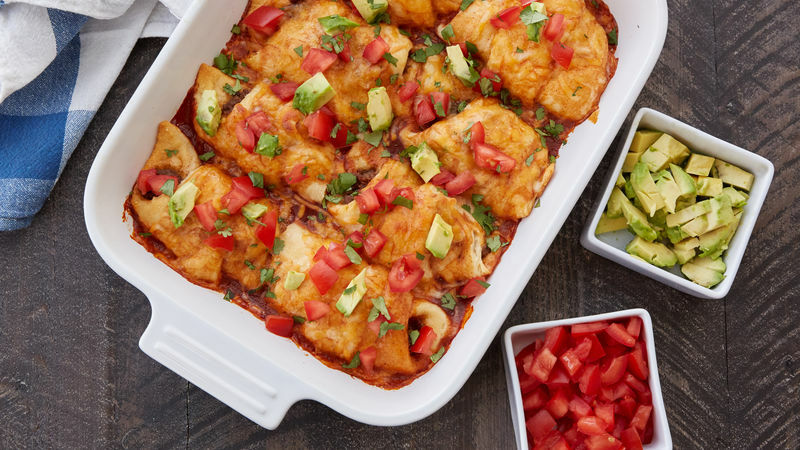 Top each serving with diced tomato and avocado. 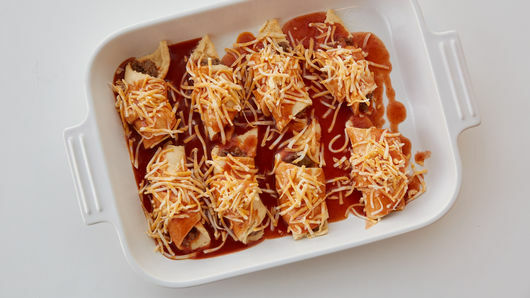 Feel free to use chicken instead of beef for chicken enchiladas. Try Old El Paso™ green enchilada sauce instead of the red!